According to MEED Projects, the Middle East and East Africa’s leading projects tracker, the value of active projects planned or under way in Tanzania is worth just over USD 100 billion making it one of the largest project markets on the continent. Of the USD 100.3 billion worth of active projects in the country, USD 17.9 billion worth of schemes are under construction, while a further USD 82.4 billion are planned and not yet awarded. Recent major off-shore gas discoveries, a booming gold-mining industry, rapidly developing agriculture and tourism sectors, and World Bank commitment to projects worth over USD 3 billion, makes Tanzania an exciting new frontier market for companies looking to establish a presence ahead of the lucrative exploitation of natural gas. MEED indicated that the largest projects’ sector by some margin is transport, with USD 36 billion worth of active projects, the vast majority of which are in the ports and railway subsectors. Gas is the next largest sector, with some USD 23.9 billion worth of active projects dominated by Tanzania’s ambitious liquefied natural gas (LNG) export plans, followed by power with USD 16.8 billion worth of projects either planned or under execution. “Tanzania is one of East Africa’s largest projects’ markets and one of the most easily accessible to international contractors. Tanzania has a long-term vision to attract substantial international investment in its key infrastructure sectors” says Ed James, Director of Analysis at MEED Projects. “To put it into perspective, the local projects’ market is larger than those of Bahrain, Jordan, Morocco, Sudan and Tunisia, making it a significant new opportunity for contractors looking to expand and diversify in the Middle East and East Africa regions.” James adds. 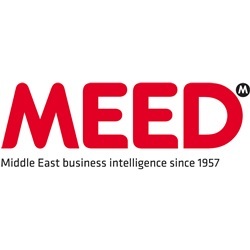 MEED Projects is a premium subscription-only service that offers the most in-depth project tracking database in the market, giving invaluable project data and analysis across the Middle East and North and East Africa. MEED Projects is also now part of 4C Group comprising a suite of world-class digital information services, specialising in the built environment and infrastructure sectors.